I want to say I didn't even understand what a podcast was until about two months ago...Which is pretty insane, right? I've been known to pull up lectures or TEDTalks on YouTube while exercising, but that brings a whole mess of problems with it (workout timers stop working, trackers don't track, etc.). I honestly can't even remember why I even opened my Podcast app on my phone for the first time back in April, but once I did, I've been hooked! Here's a few of the ones that I'm currently head-over-heels for. I listen while cooking, cleaning, workout out, taking baths, driving, you name it! Since podcasts are kind of like amazing TV shows, I have almost listened to all episodes of most of these podcasts in a row. They don't really get old, due to the fact that most of them are all interviews, learning other people's stories. I'll leave you with these four to get caught up on! This is an Intuitive Eating podcast that focuses on food psychology, eating disorders, and other issues in food and body culture. Christy Harrison is such a passionate voice of balance in this community, and she highlights eating disorder recovery so well! I consider myself someone who has come so far past disordered tendencies (no specific disorder), but this is such a refreshing and friendly reminder to keep it balanced. Want to turn everything you believe about diet culture and this new "health" wave on it's head? Listen to this. Okay, so this is my current favorite. I've binge-listened to like 20 episodes from her podcast over the course of like three days, and I'm so in love! She's interviewed so many inspirational and iconic people in today's culture, and she highlights each episode with a plant-based recipe! I've recently been commenting with her on Instagram, and I've def fan-girled so hard. 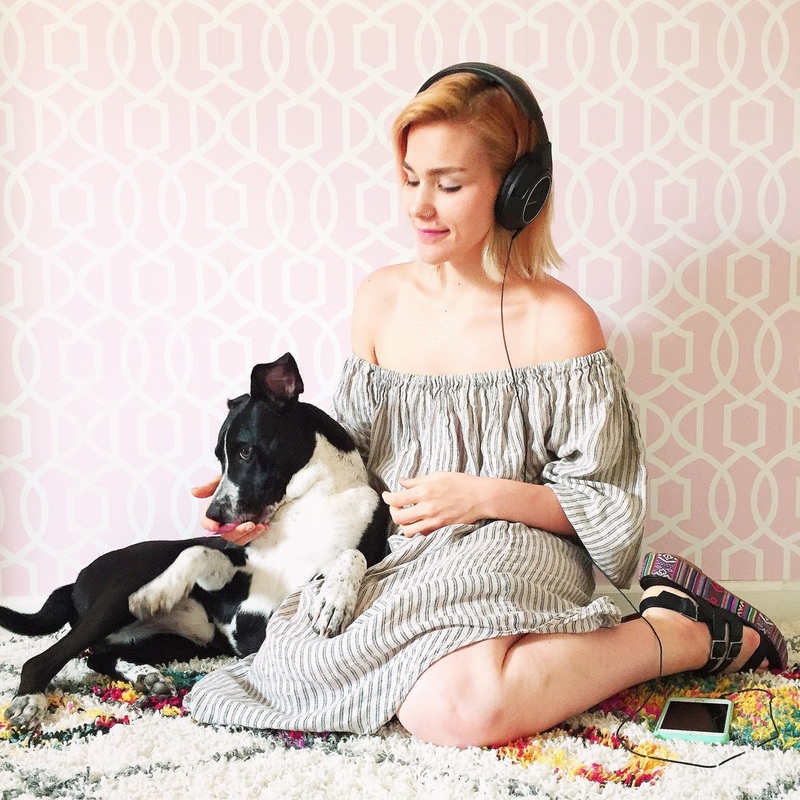 Jessica is an incredible voice for women struggling with endometriosis, highlighting her personal experience with the illness and interviewing influential people who are experts in that field. From interviewing bloggers you may know to authors you may not, she has the scoop on the next things you're going to be obsessed with and the people behind them! Also, I love how much swearing happens on her podcast, since I'm a f**king potty mouth IRL. This podcast is one that I've only dipped my toes in, but I've really loved it. Granted, it's from 2014, but I feel like all the lessons are still valid. I adore all the blogging advice and insight into our current culture, and how to make your way in it. If you ever look at Design Sponge, you obviously love the interior design, recipes, etc, so just trust that you'll really love this stuff. Much like Food Psych, Mind Body Musings really helps start the conversation on body image, exercise addiction, and obsession with today's "health" wave. Wellness is great, but balance is key, and Maddy that amazing guests that explore this concept.